Still Corners have announced a new album, Slow Air, and shared a video for its first single, "Black Lagoon." Slow Air is due out August 17 via their own label, Wrecking Light. Check out the "Black Lagoon" video below, followed by the album's tracklist and cover art, as well as the band's upcoming tour dates. 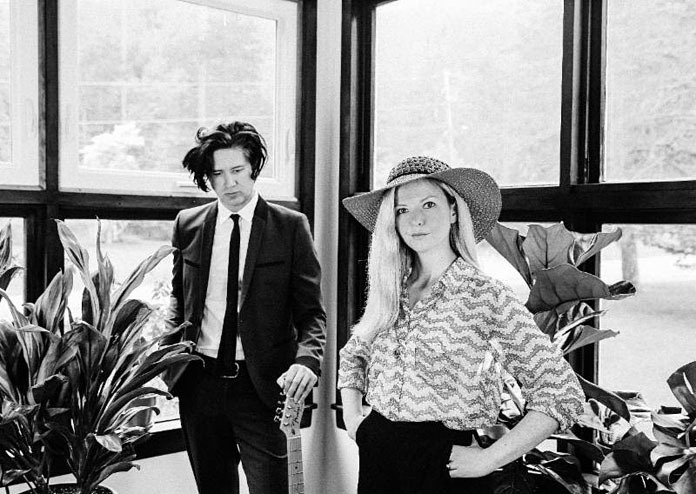 Still Corners is the male/female American/British duo of Greg Hughes and Tessa Murray and Slow Air is their fourth album, the follow-up to 2013's Strange Pleasures (a criminally under-appreciated dream-pop gem released via Sub Pop) and 2016's Dead Blue (also released on Wrecking Light). Slow Air was recorded in Austin, TX, in a studio designed by Hughes. Although, the band is now based in Woodstock, NY. The "Black Lagoon" video was filmed over the course of a month on a handheld cinema camera in Texas, Arizona, and California. Murray had this to say about the album in a press release: "We wanted to hear beautiful guitar and drums and an otherworldliness, something almost indefinable along with a classic song writing vibe. We're always trying to get the sound we hear inside of ourselves, so we moved fast to avoid our brains getting in the way too much. The name Slow Air evokes the feel of the album to me, steady, eerie and beautiful." 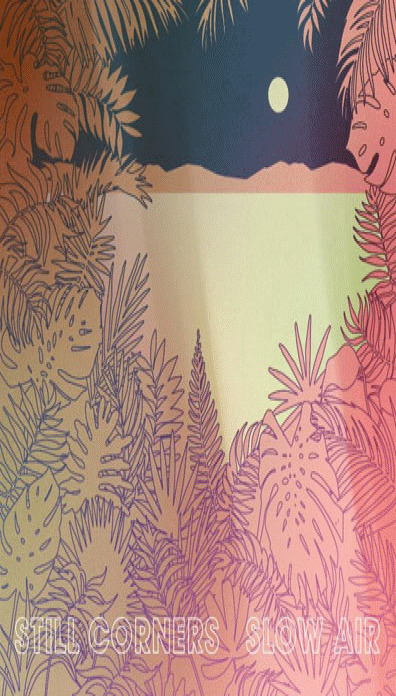 The band issued a joint statement about "Black Lagoon" and its video: "'Black Lagoon' is the lead single from Still Corners' 4th album Slow Air. With clean toned electric guitar, a driving beat, and the smoky crooning of Tessa Murray, 'Black Lagoon' contains the shimmering atmospherics Still Corners are well known for. The cinematic video that accompanies the track finds the band on a journey from the desert to the ocean in search of a lost Eden. Filmed over a month in Texas, Arizona and California and shot on a small handheld cinema camera, the band travels across America in a white mustang convertible searching and reaching into the unknown." In 2016 Murray wrote a My Inner Geek guest blog post for us about Star Trek: The Next Generation and you can read that here.